With all the constant changes happening on Instagram, finding creative ways to engage with your audience and share your message has become more important than ever before. Launching in August 2016, Instagram stories provides users with the opportunity to share photos and videos that disappear after 24 hours. With the new highlights feature, Instagram users also have the option to add their story to a highlights section under their bio, making it visible until the user decides to delete it. There's no doubt that Instagram stories have become a powerful way to engage with your audience. Using Instagram stories helps you appear first (in the stories section) when people open the Instagram app providing you with additional ways to grow your business with on-brand images and video. With this big opportunity, it's important that you're using Instagram stories to your fullest abilities. This means not just using stories for a token 'new post' update but exploring how you can share an engaging story with your audience. Instagram stories provide a way for you to share a peek behind-the-scenes of your business and an additional way to share your brand's message. Users love this type of content as it helps them get to know the people and inner workings of your brand. Combining this behind-the-scenes content with some creative flair will have people tuning into your stories every day. So, how do you add that creative flair to your stories and stand out? We've listed 5 apps below that are making it easy to add some creativity to your Instagram stories. Have you seen those Instagram stories with beautiful animated text? Chances are they used Adobe Spark Post to create their story. With this app, you can add animated effects and text to your photos. With sizing especially for Instagram stories, you can simply add the text to your photo and select animation. This will turn your photo into a 4-second video. The Adobe Spark Post app is free for iOS and desktop. To create your story, open the app and press the green + sign at the bottom centre of the screen. From here, you can choose an image or solid colour background. Size your image for Instagram stories, double tap the screen to add text, tap effects and add animation, and press done to save your creation. From here, you can go to Instagram stories and post your saved content from your camera roll. If you have a video that needs to be smooth and stabilized, Hyperlapse will turn you into a video pro! You can record a time-lapse or convert videos from your camera roll up to 12x speed to smooth out any unstable video footage. If you're recording video from within the app, make sure you record in portrait mode for Instagram stories. Lots of people use Canva on their computers but their iOS app also packs a powerful punch. Create beautiful images for your Instagram stories with the templates on the Canva app. To make an Instagram story, start a new project that's 1080 x 1920 pixels. From here, you can upload your own images, use one of Canva's free images, or a paid image (all paid images are $1). Once you've picked your image or template, you can edit the image, add design elements like lines and shapes, and overlay text. One of the best things about using Canva to create images for your Instagram stories is that you can save your designs to use them as a template for future stories. 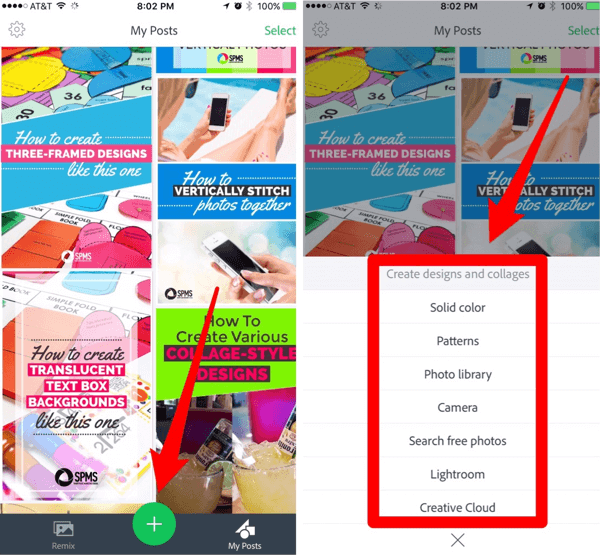 You can also create more than one image in each project which means you can download your images and upload them to Instagram without going back and forth between the apps - a big win! A key challenge with making attractive Instagram stories is that the videos and images get cropped to fit the vertical aspect ratio of the app. With InShot, you can customize the aspect ratio of your images and video for Instagram stories. While the app is free, you will need to pay a few dollars to remove the InShot watermark. Select the 9:16 option to create content for your Instagram stories. You can then upload your own images or video, add text, animated emojis, stickers, filters, music, voice-overs, effects, and edit the video speed. 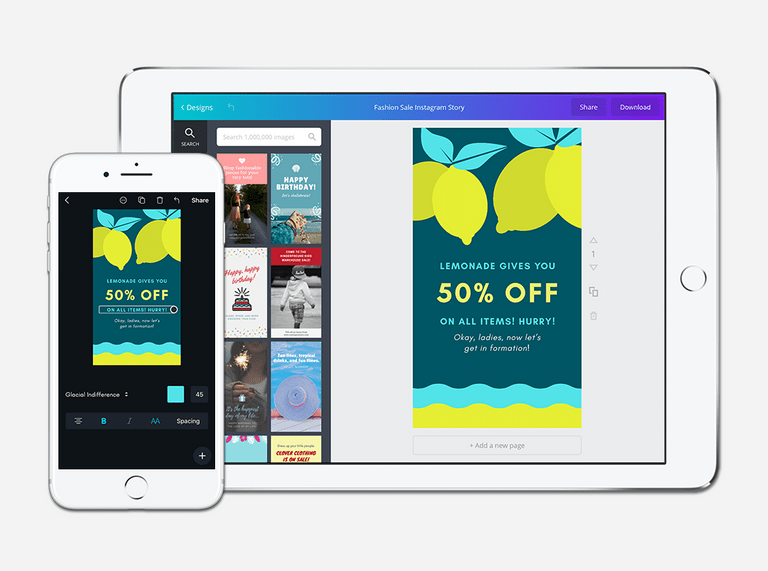 The InShot app is free on iOS and Android. With Cut Story, you can edit video for your Instagram feed and Instagram stories. 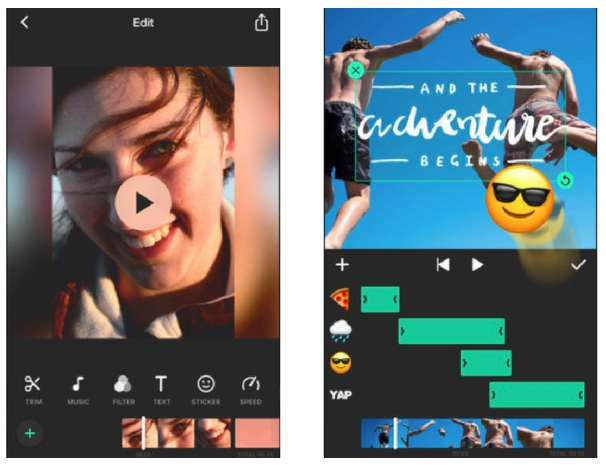 The app allows you to edit a 15 second video for Instagram stories, with video lengths for other social media platforms also featured on the app. To edit your video, you just need to select your desired video length, add music, and upload your finished video to Instagram stories. You can also edit a video for your Instagram feed (60-second video) with this app. While the app is free, you will need to make a small in-app purchase to remove the watermark logo and add music. Older PostIs it ok for brands to share your content on Instagram?